Olive used to be a little fussy at meal times, luckily she is much better now and is up for trying anything. Though sometimes I still have to cover vegetables with cheese so she eats them. She also has a huge appetite and some days just spends it eating or snacking between naps! 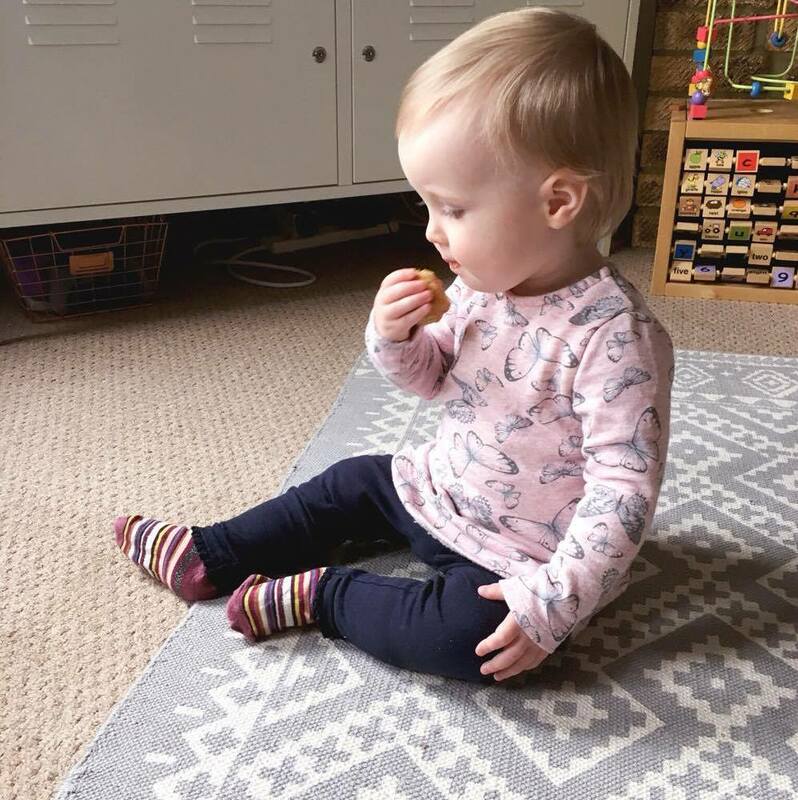 As well as raspberries and dried apricots, Olive's favourite snacks are these mini savoury muffins. It is also one of my favourite recipes as they are so easy to make. Perfect for us busy mama's! A few people have asked me for the recipe so here it is. I will also say that they are NOT just for bébés! Replace the cheese with strong mature cheddar and bake them in a regular muffin tin and you can thank me later grown ups! -Preheat the oven to 200C (Gas 6). 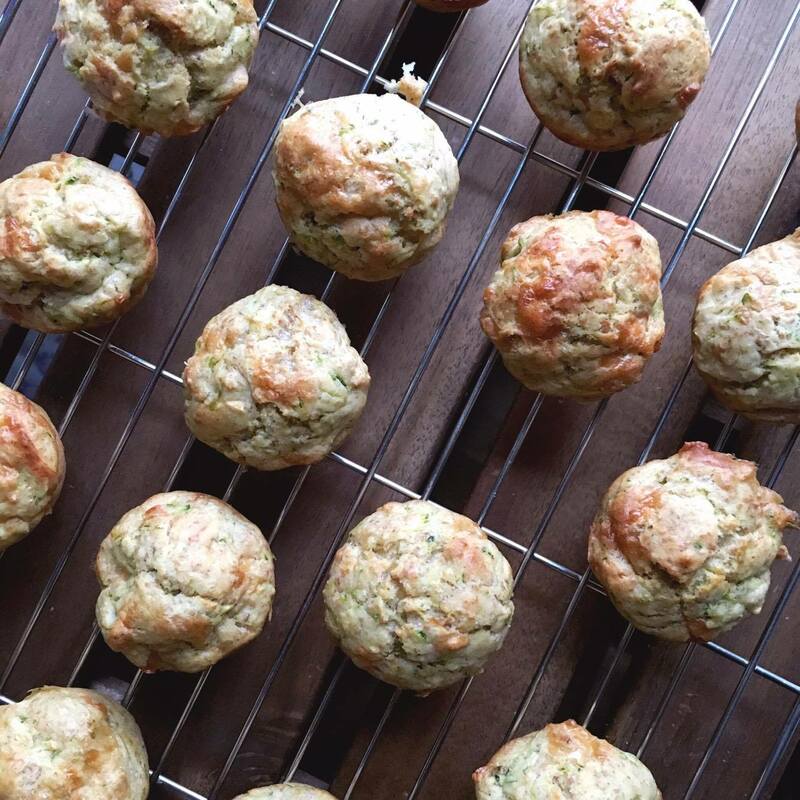 Grease a mini muffin tin or line with muffin cases. -Sieve the flours together with the baking powder into a mixing bowl, adding back any bran that remains in the sieve afterwards. -Add the courgette, cheese (and herbs* if using). -Beat the egg in a separate bowl and stir in the milk and oil. Pour these over the dry ingredients to make a thick mixture. -Spoon the mixture into the muffin tray/cases. Bake for 12-15 minutes. Bébé - Add 1 tbsp finely chopped Parsley or Oregano. Grown ups - 60g finely grated strong mature cheddar, 1 tbsp finely chopped chives. Bake for 18-20 minutes. The mixture creates 24 mini muffins or 6 mini and 6 large - if you fancied baking some for yourselves. Once cooked and cooled they can be refrigerated for 48 hours and can be frozen too. So not only is the recipe super easy they can be frozen - Hooray - which is perfect for those of us with To Do lists longer than our arms! I have honestly never been more grateful for my freezer. Except that time in pregnancy when I craved cookie dough ice cream!! Try at breakfast with scrambled eggs and fresh fruit or served alongside a bowl of soup. Or simply as a snack - perfect for on the go (whilst you nibble on a slice of cake - I got you Mama's! ).